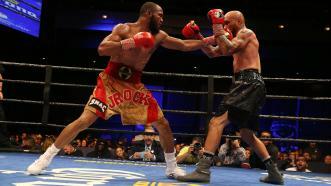 Julian "J-Rock” Williams remained undefeated with a seventh-round TKO victory over Marcello Matano in a 154-pound title eliminator. 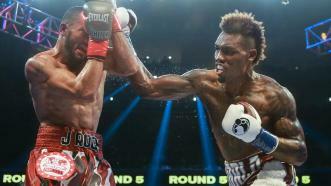 Jermall Charlo defended his 154-pound world title for a third time with a vicious fifth-round KO of previously unbeaten Julian Williams. 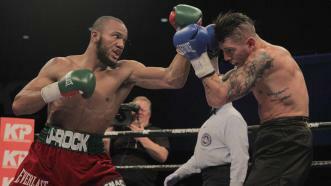 Julian Williams (25-1-1, 15 KOs) continued his march towards another title shot, earning a majority decision over a game but outclassed Nathaniel Gallimore (20-2-1, 17 KOs) over 12 rounds. Williams edged enough of the rounds to earn the decision, nearly stopping Gallimore in the championship salvos. Scores were 117-110, 116-112, and 114-114. 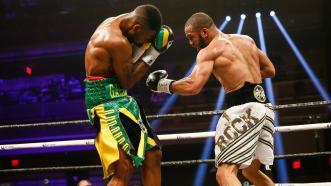 Julian Williams shows he's back and ready to climb the contender ladder again after defeating Ishe Smith but UD in Las Vegas on PBC on Bounce. 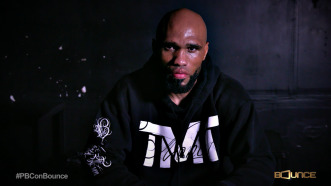 Julian “J-Rock” Williams talks about how overcoming the tough streets of Philadelphia turned him into one of the top 154-pound contenders in boxing. Despite a shocking knockout loss to Jermall Charlo last December, Williams says he has no doubt he will one day become a world champion. 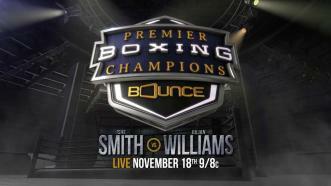 On Saturday, November 18, 2017 Williams faces former world champion Ishe Smith on Bounce TV at 9 p.m. ET/6 p.m. PT. 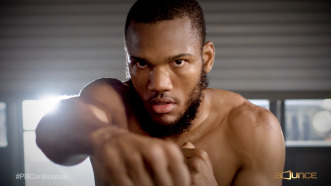 This week on #PBCJabs, top 154-lb contender Julian Williams checks in for a round of Rapid Fire and we preview our November 17th, 18th and 21st fight cards! Las Vegas' first hometown world champion Ishe Smith talks about how he once contemplated suicide, but overcame his darkest hours to not only win a 154-pound title—but also become the father to his three children that his dad never was for him. On Saturday, November 18, 2017 Smith returns to the ring to face contender Julian "J-Rock" Williams on Bounce TV at 9 p.m. ET/6 p.m. PT. Former 154-pound world champion Ishe Smith takes on top contender Julian "J-Rock" Williams in a 10-round headlining bout on PBC on Bounce November 18, 2017 from The Cosmopolitan in Las Vegas, Nevada.